Hyperthyroidism a condition, in which our thyroid gland produces more thyroid hormones than an adequate amount required by our body. Our body needs these thyroid hormones for our overall growth and metabolism and the excess of it can ravage the functioning of our body. The common side effect of hyperthyroidism includes drastic weight loss that further leads to the loss of nutrients and quells our immunity. If you see any rapid weight loss in your body then, you need to get tested for this health condition. Where medication is undoubtedly a solution for treating this condition, few changes in your diet also alter its effects. 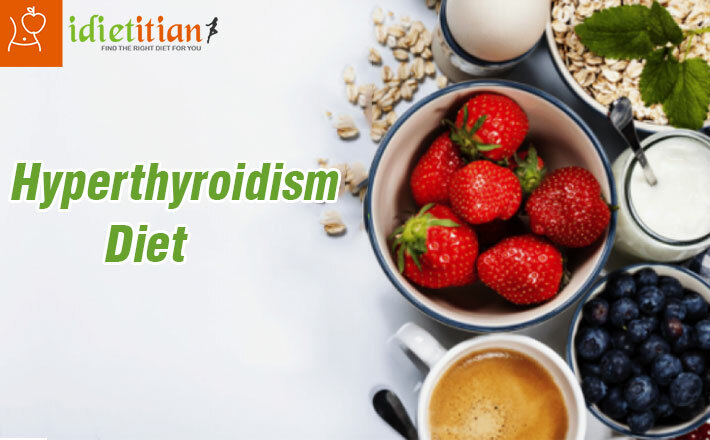 So, here is a hyperthyroidism diet plan which can help you out to beat this medical condition naturally. As weight loss is the major symptom of this medical condition, consuming a low-calorie diet is never advised. Eating healthy food with low calorie content such as salads and soups will actually works untoward. Though, eating foods with trans-fats or carbohydrates which are high on the glycemic index is also a bad idea. These foods tend to increase the blood sugar levels and would worsen the situation. Try to choose foods that are low on the glycemic index but are calorie dense such as whole grains, lentils, beans, cereals. Try to complete the goal of approx. 2500 to 3000 calories per day. It is always advised to eat natural food rich in anti-oxidants such as berries, oranges, and selected vegetables. The foods rich in antioxidants will improve your immune system which gets agitated with the hyperthyroidism. Always try to have small meals throughout the day to ensure that you don’t skip the major nutrients because of your faster metabolism. Maintain the gap between two meals as minimum, it shouldn’t exceed more than three hours to gain the optimum nutrient value needed to function properly. Some Vegetables are Threat, Choose them Wisely! For a person who is diagnosed with “hypothyroidism,” cruciferous vegetables (cabbage family) are the worst enemy. 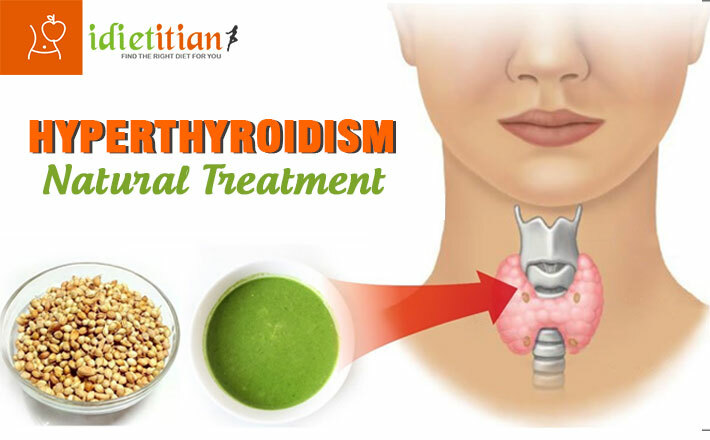 But it is opposite in the case of “hyperthyroidism,” people suffering from hyperthyroidism are advised to eat items of cruciferous family as these vegetables fall in the goitrogen family and can decrease thyroid hormones in one’s body. Tip: Ensure to include only a part of these vegetables in your regular diet as excess consumption might lead to hypothyroidism. A small amount of calcium is not enough in a hyperthyroid patient so, the body tends to absorb calcium from the bones to meet the health requirements. This leads to thinning of bones and further osteoporosis. To undermine the effect, ensure that you eat enough quantity of dairy products daily to calcium intake. Yoghurt, cottage cheese and low-fat milk, are the best option. And, if you are intolerant to lactose, compensate the calcium intake by consuming foods that are rich in calcium such as leafy greens, figs and nuts. Extreme weight-loss is one of the major side-effects of this condition. Eating foods which are rich in protein like lean meat, soya, lentils and fish is one the ways to maintain the muscle mass and body strength. It is advised to consume at least one-portion of protein in your main-course meals. Fishes which are rich in omega-3 content can help to tackle the hyperactivity of the gland. Other food sources of omega-3 content are walnuts, flax-seeds, etc.